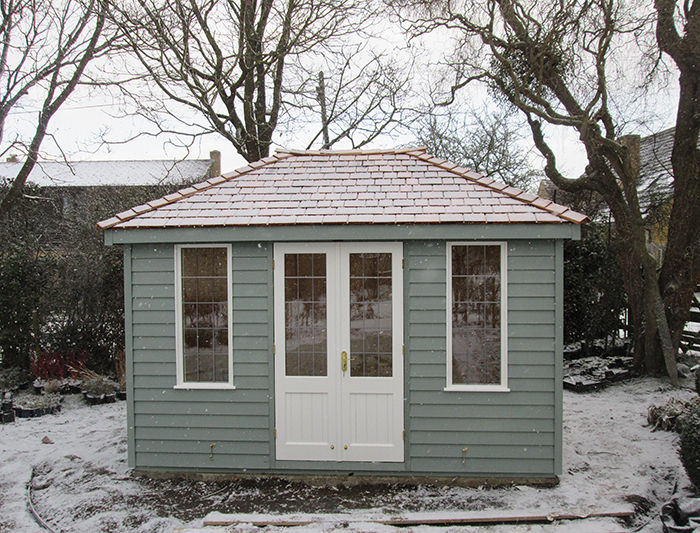 One of our popular Cley summerhouses was installed earlier this year for a customer based in Faringdon, Oxfordshire. They opted for a size of 2.6 x 3.6m and a classical choice of two-tone paint for the exterior in our Valtti shades of ivory and sage. 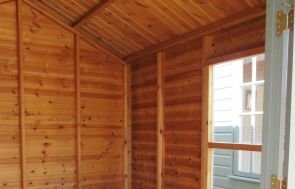 Externally, the summerhouse has weatherboard cladding made from our FSC® certified timber which gives off a rustic, traditional look and a hipped roof covered with cedar shingle tiles. Four opening windows make for adequate ventilation during the warmer months, and full insulation means that it will be kept pleasant and fully-functional throughout the year. The customer also opted to add an electrical pack with a heater which will make it further suitable for colder months and to use electrical appliances inside. Alternatively, locate your nearest show site to pay us a visit and see the buildings for yourself. 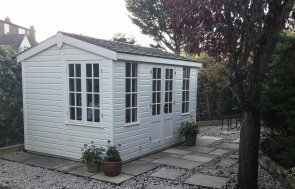 There you will be able to explore over 25 different garden buildings, displaying a wide variation of the types of high-quality buildings we offer for you to browse at your leisure. 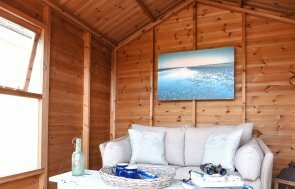 Our Cley Summerhouse is just one example of the summerhouses we offer at Crane Garden Buildings. If you would like to browse the full range to find the one best suited to you, you can do so by clicking on the link below.